Earn up to 58 Vein Tap Points. Something as simple as an AB pedal doesn’t need more than a little added style. 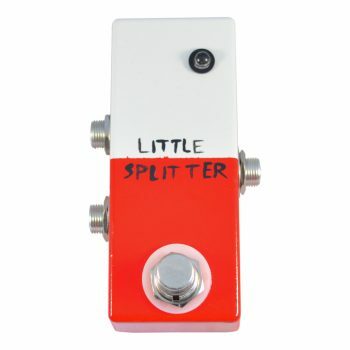 The Little Splitter is a fantastic and most beautiful AB pedal from Vein-Tap.com, and can be one of the most useful switches on your pedalboard. A lot of guitarists have two different guitars they’ll use through the same amp. There’s no way a Les Paul will ever sound anything like a Telecaster, or a hollowbody Epiphone will sound at all like a metal roaring BC Rich. There will also be many times in a set when you’ll need to change tunings: commonly standard E tuning to Drop D. You can save a lot of hassle, and look far more professional, by saving the precious onstage minutes you would otherwise spend tuning by having two guitars you can quickly and noiselessly switch out. If you need convincing: try tuning your guitar onstage. Even if your audience forgives you, your vocalist will have less time to talk the audience’s ears off, benefitting everyone! Changing guitars with the same cable can ruin the moment by causing hideous popping and humming which not only hurts the audience’s ears, but ruins the moment and can be so easily prevented with the Little Splitter! 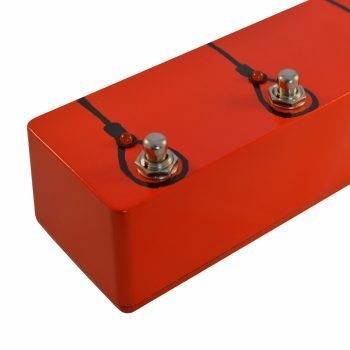 Back-breaking it may be, but bringing two amps to a gig or practice space can make you sound truly professional. Choosing an amp tone is a very personal thing, both in the control levels you choose and in the way your playing style and your fingers will make the amp sound. Although many amps, especially modern amps, have a great many different channels, it’s a very rare case when only one amp will give you two or more tones which are exactly as you want them. The classic example – one amp for clean tones and one for dirty tones – is practically the only way to go in higher-end gear circles. John Mayer, for instance, uses Two-Rock and Dumble amps for driven tones and Fender for his clean tones. If we were to count off the guitarists who choose Fender for clean tones and Marshall for dirty, we’d bore you senseless. Either way: having two amps onstage sounds huge and impossibly good. 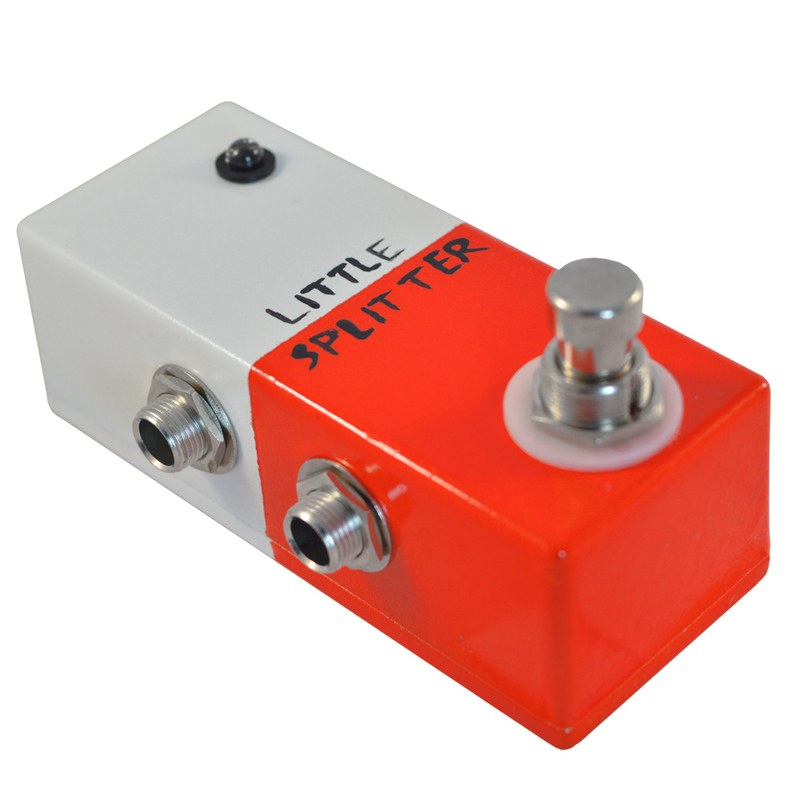 The Little Splitter allows you to switch between them from a discrete, handy foot pedal you can take anywhere. 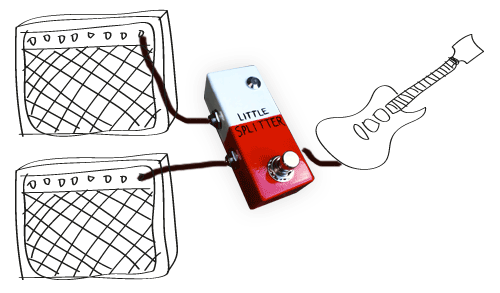 You can really let your creativity fly with this pedal; perhaps you’d like two entirely separate pedalboards to engage at different times, saving you a world of tapdancing and foolishness onstage: the Little Splitter is your best friend. With a dual-colour LED indicator to let you know at a glance which signal path you’ve chosen, you can’t go wrong! 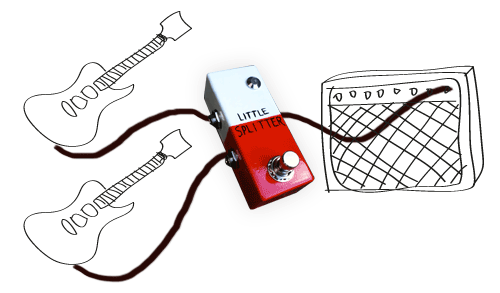 Like most of our pedals, the actual splitter is passive, so you don’t need 9v DC power to get it to work – only the LED. Handy, eh? Buy a Little Splitter now! It makes more sense than anyone has any business making. 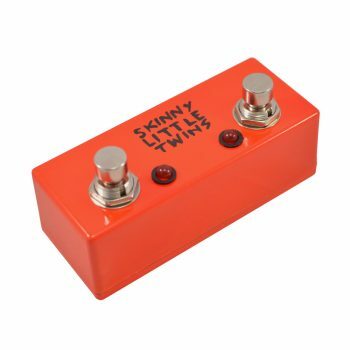 Exactly what I need to switch between normal and reverb channel on a Fender Deluxe Reverb. The led’s not really needed but it’s nice to show you which channel is in use when your setting are similar. And the small size is welcome on a compact pedal board. 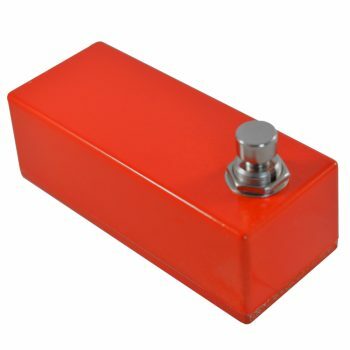 Solid made Pedal and very reasonably priced. 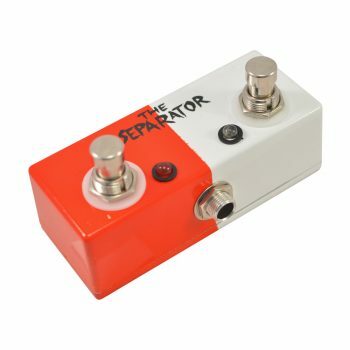 Been looking to purchase a splitter pedal for a while and couldn’t believe my luck when I chanced upon the Vein-Tap website. I’m currently using this to send my signal either through my normal effects chain or to my Korg Kaoss Pad for that little extra ambient weirdness. 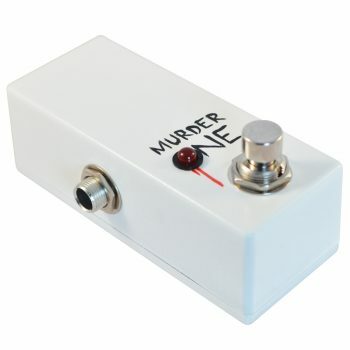 I will definitely be ordering another one of these and I’m keen on purchasing one of the kill switch pedals too. This could be the start of a beautiful friendship! Fantastic pedal. Let’s me send my guitar to a guitar amp and my octave-shifted guitar to a bass amp. Throw in a stereo looping pedal and you get looped bass guitar coming out one amp, looped rhythm guitar out of the other amp and lead guitar over the top. 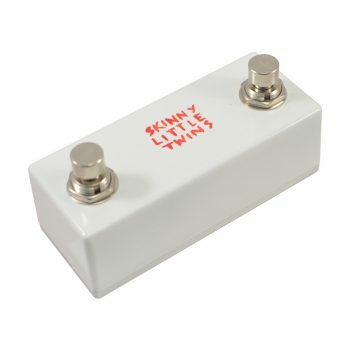 This little chappie is the bogs dollocks of Y-switches : it now handles the routing between two channels on my amp with a kind of smug efficiency normally exhibited by wine waiters in posh restaurants. I’ve even treated it to a connection from the power brick so that its LED can light my way to signal path surety – very smart it looks in the dark too ! I also bought this to switch between electric mandolin/electric violin between songs with no fuss – happy to say it works like a dream. It looks beautiful, and it’s compact and sturdily built- a massive plus where stage space is at a premium as with my band. The fact that it works passively without the need for a power supply (unless you want the two-colour LED) is a huge bonus too. Top value product and great customer service – I’ll be back. Hey all! I wanted a nice groovy little A/B pedal for my girlfriend’s electric violin/mandolin pedal-board. This was perfect! I did however wonder if I could have the two sockets on the right hand side of the pedal so it would fit more neatly on the board, so I contacted the guys and they swapped the jacks round no charge! These guys are top: prompt communication, brilliant products and brilliant service! 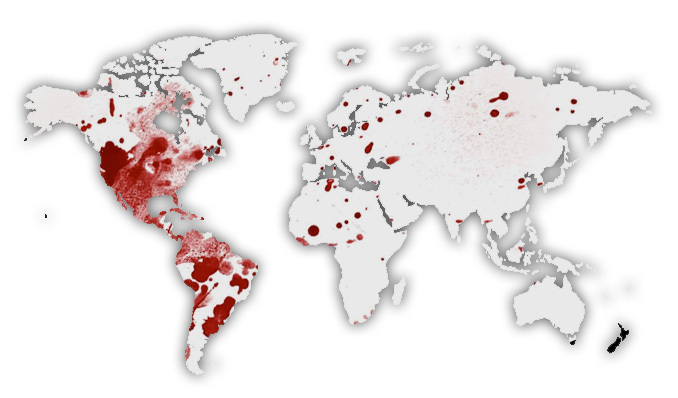 What a find, keep up the excellent work guys! Can’t recommend you enough! 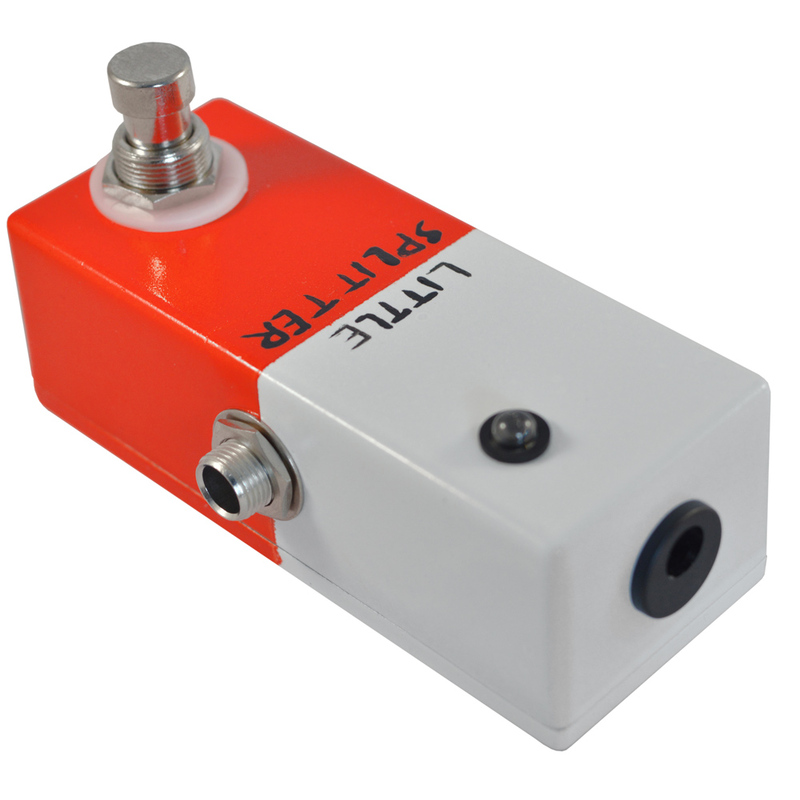 Brilliant little pedal – works very smoothly with no loss of volume or tone. Works perfectly for me running a mandolin and acoustic guitar through the splitter, to L R Baggs Venue DI/pre-amp, to Marshall acoustic amp. Ben also provides first class customer service. Thanks! I bought a little splitter last week and gave it a road test at a gig last night. Awesome bit of kit! Ive use it to toggle between my rack tuner and my Bass head so I can tune up silently between numbers. Its silent in operation and no noticeable cross talk between the outputs. It’s really well made and I have no doubt it will survive the rigours of gigging. Only slight gripe is there is no facility to add a battery to power the onboard led indicator, you need an external psu. (the switch itself is passive and needs no power – a major selling point over competitors products for me) Not really an issue for me as its pretty obvious in my situation where the signal is going however. All in all top product and will use them again I’m sure. the other guys in the band liked it too!! Brilliant. works perfectly – allowing me to switch between instruments during gigs without any fuss. Love it!